Strong senior class goes out in style for Black Bears. The top-seeded Patriots scored the first six points of the game and never looked back. 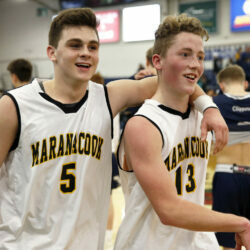 Black Bears avenge last season's loss to Clippers, reaches B South semifinals. Phoenix's offense sputters all night long, allowing Black Bears to slip away with a 34-21 victory. Student-athletes cope with increased stress that comes with big games on big stages. 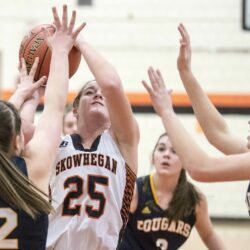 Skowhegan and Waterville girls, as well as Cony boys, eye deep runs in regional tournaments that begin this week with prelims. 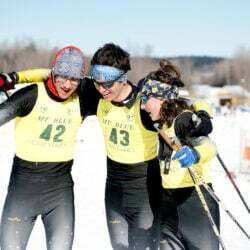 Black Bears win boys' championship while Black Raiders stun Purple Panthers for girls' title.